There’s a saying in our industry, that earthquakes don’t kill people. Buildings do. Yes, it is over-simplified, but the fact remains that earthquake threats to public safety are fundamentally linked to structural stability. People get injured in earthquakes because a building façade, wall, parapet, ceiling or other part of the structure collapsed when it is was stressed to the breaking point by the violent ground movement caused by the quake. Whether it’s the compression of the earth from P waves, the undulation of S waves, or fast-moving surface waves (the most destructive type) — buildings must be able to absorb and distribute the energy transmitted by these waves, or they break, usually in their weakest spot. It matters because never before have we understood so much about the structural vulnerabilities of our buildings, and how to fix them. Nationwide, and especially here on the West Coast, there is a push to prepare our communities and make them safer against disaster. Many cities have adopted or are considering ordinances requiring retrofits of buildings proven to be vulnerable in a major quake. The White House, in its National Security Strategy, listed the promotion of American resilience against natural disaster as one of the country’s primary security issues for 2018. Here in California, there are five basic building types that have been proven to be vulnerable to failure or collapse in an earthquake: soft-story, tilt-up, non-ductile concrete, steel moment frame, and unreinforced masonry. Listed below is a quick description of each building type and the general structural engineering approaches to make them safer. Soft-story: Extremely popular as a means of conserving space, these structures with open ground floors used for parking have been proven to be vulnerable because they lack the support to withstand lateral forces that push the building from side to side. The swaying can cause the first floor to collapse, and the upper floors to pancake on top of it. Retrofit construction for soft-story buildings usually entails the installation of a steel moment frame or frames, a sturdy foundation and drag lines to absorb seismic ground motion and prevent swaying. Tilt-up: Tilt-up construction began in the early 1900s, but didn’t really catch on until the post-World War II construction boom. The walls of a concrete tilt-up building can weigh between 100,000 and 300,000 pounds. Many tilt-up structures built prior to the late 1970s were built with limited or weak connections that have been proven to fail in an earthquake, causing severe damage and/or collapse. These building defects can be easily corrected with seismic retrofitting. Non-Ductile Concrete: Non-ductile concrete buildings prior to 1978 are characterized as having concrete floors and/or roofs supported by concrete walls, columns and/or frames. These buildings make up the majority of earthquake losses around the world because they typically attract large numbers of people: thereby enhancing the potential for death and injury. Retrofit construction of these buildings usually entails the use of shear walls and column fortification to provide a stronger framework to prevent a collapse of the heavy floors above. Steel Moment Frame: Steel moment frame construction dates back to the 1880s with the very first skyscraper, the Home Insurance Building in Chicago, but this building technique was most commonly used in the 1960s to 1990s. These structures, when built before the 1994 Northridge earthquake, can sustain brittle fracturing of the steel frames at the welded joints between the beams and the columns. There are several retrofit approaches to consider in these instances, depending on the building. Some approaches include boosted beam-column connections and chevron bracing throughout or at various points in the structure. Unreinforced Masonry: Unreinforced masonry buildings make up many of the older structures typical in downtown communities. Most have undergone seismic retrofitting as required by a California state law enacted in 1986, but there are literally thousands that have yet to be retrofitted. Retrofit construction of URM buildings consists of several approaches, including securing the structure to its foundation, joining building elements to avoid independent movement of various parts of the structure, and steel bracing systems. 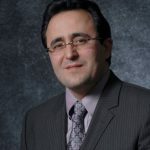 Ali Sahabi has been a licensed General Engineering Contractor (GEC) since 1993, and is a principal at Optimum Seismic, Inc. He has completed hundreds of seismic retrofitting and adaptive reuse projects for multifamily residential, commercial, and industrial buildings throughout California. What Can Southern California Learn from the Anchorage Earthquake?